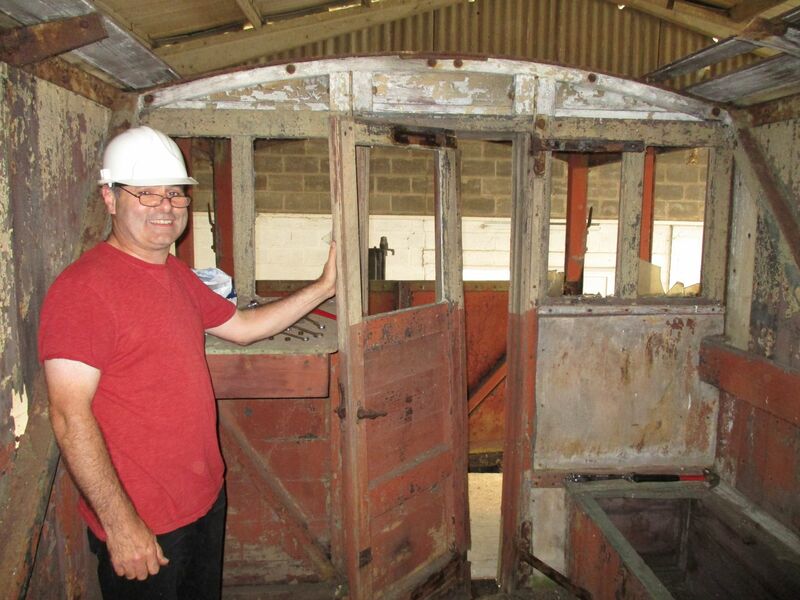 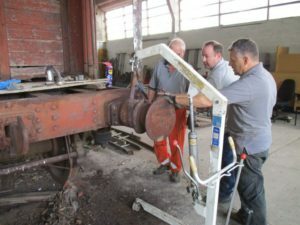 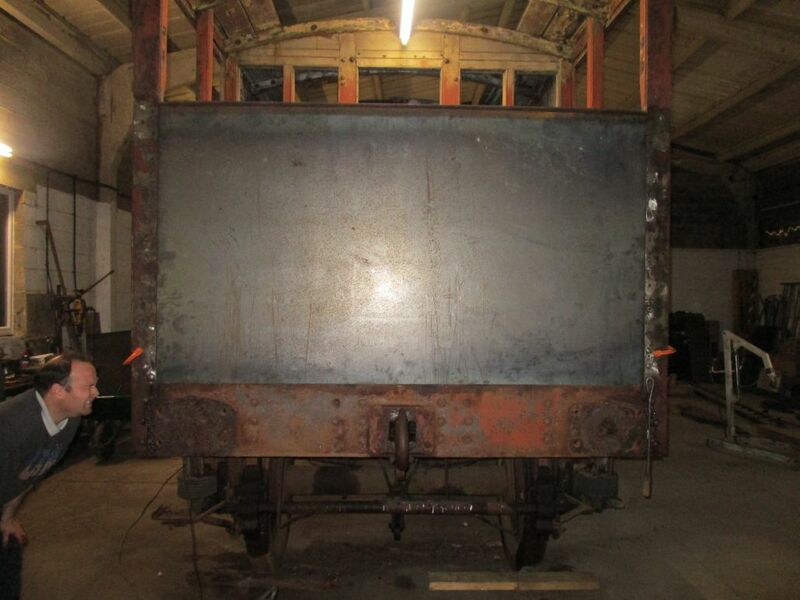 Leiston Works Railway > Full Steam Ahead for Jumbo The Brake Van Project! Brand new balcony panels were first cut then installed. 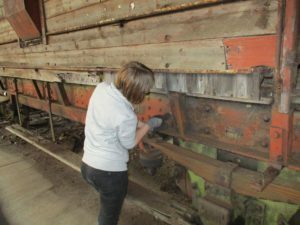 The balcony end panels were badly rusted and required replacement. 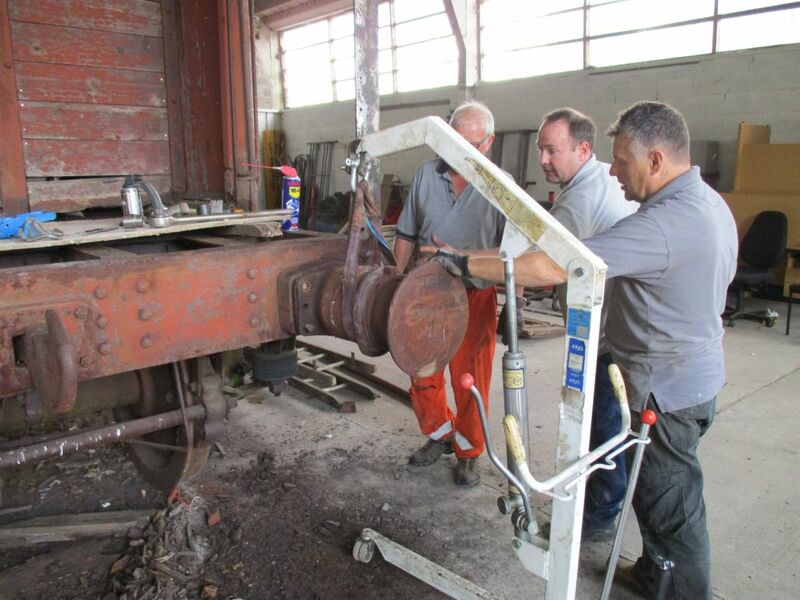 The Buffers were carefully removed to be restored. 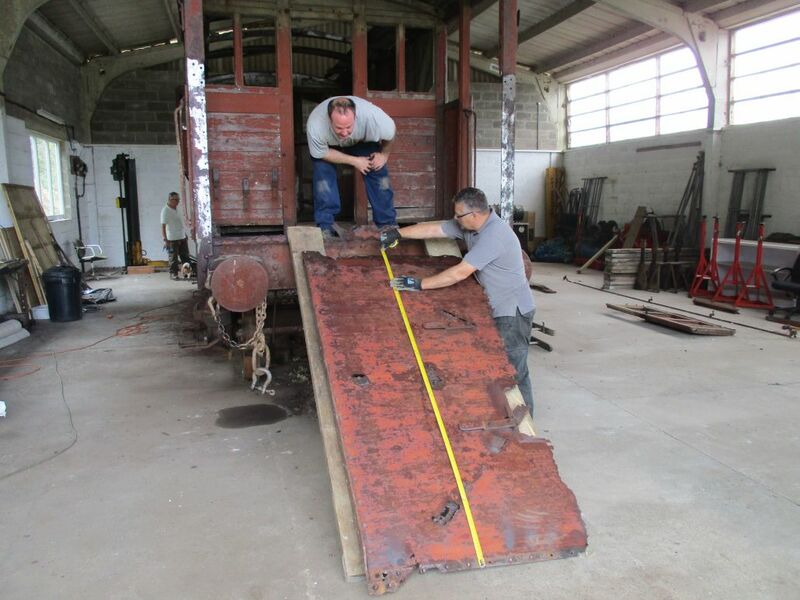 The doors were found to be a very good condition and will require little work. One of our younger members gets stuck into the project.